Putting my christmas present to good use…. Let me start off by letting you know that I am one of those people who loves Christmas. I love setting up the Christmas tree, decorating it and baking gingerbread cookies and of course getting and giving presents. I find that picking out suitable presents for loved ones is quite difficult especially in my family. But the surprised look is very rewarding when they open their presents. I have fond memories of Christmas morning when I was little. I have always been quite impatient thus I found it terrible and exciting at the same time waiting for Christmas morning to come. Christmas morning came soon enough and my sister and I used to jump out of bed and start shaking the packages to guess the contents. We had to wait until after breakfast of course, which we scarfed down really fast. But I am straying from the subject which is what I got for Christmas this year. This year my family and I thought to keep the spending to a reasonable amount. We drew names and each had €50 to spend on one person. Everyone had to make a list of things they would like to get. 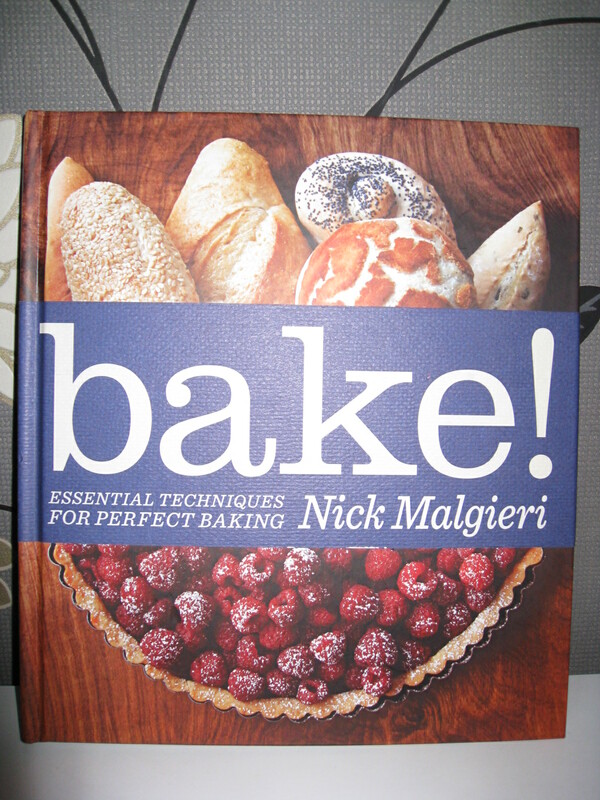 Half of my list consisted of food related things of course so I was delighted to get the book I asked for: Bake by Nick Malgieri 🙂 . This book features a selection of his recipes ranging from breads, pies,muffins etc. I couldn’t wait to try them all!!!! Needless to say I liked my present very much.